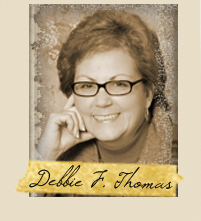 I was surprised to read the first few words of the opening sentence of Debbie's post on Wednesday: "I learned a new word ..." because that's exactly how I planned to begin this post. I learned a new word ... Great minds? Absolutely. I love Debbie's new word, prevenient, love its implications, especially as it pertains to grace. When I think of God's prevenient grace in my life, think of all the things he kept me from and kept me through, I'm overwhelmed. I mean that in the truest sense of the word. David asks in Psalm 8:4: "What is man that you are mindful of him?" I echo his question, but I tend to personalize it when I ask: Who am I, Lord, that you are mindful of me? Casting Crowns answers that question in one of my favorite songs, Who Am I? It never fails to move me to tears. So prevenient was Debbie's new word. Mine is peripety, defined as: A sudden change of fortune or reversal of circumstances. More to the point, it's the hinge on which the reversal turns. I love that word, love how it rolls off the tongue, like serendipity, which is one of the coolest words in our language. While peripety is new to me, I can imagine our own brilliant Dr. Latayne -- and she is brilliant -- using it in everyday conversation. In fact, she's written an excellent book on faith as the hinge that changes everything in the life of Sarah and Abraham: The Hinge of Your History: The Phases of Faith. I came to know the word peripety through Beth Moore's Bible study on the biblical book of Esther. My daughter Deanne facilitates a women's Bible study at her church, which recently went through the series. Deanne loaned me the set of DVDs with the admonition, "Watch these." So like the dutiful mother I am, I began to watch them. 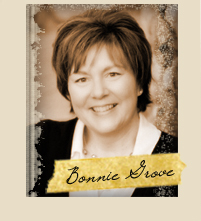 After one or two sessions, I understood why Deanne felt so impressed to recommend them to me. I'm not sure I've ever gone through a Bible study more pertinent to the circumstances of my life than this series on Esther. Two lessons into it I started over again and told my husband we needed to go through it together. We are, and it's speaking to him as deeply as it's speaking to me. Session six of the study, which covers Esther 6:6-11, is where peripety came into play. Since this post isn't meant to be a Bible study, I won't go into the details, but I highly recommend the series. Seriously. Among the many areas where peripety applies to my life, I've thought a lot about how it applies to my writing. 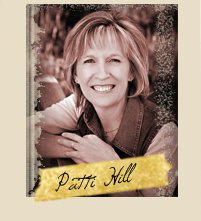 I've shared before about the long and difficult journey my path to publication took. Long. And Difficult. Twenty years worth. I stood before a brick wall with no doors or windows, no way over or around, when it came to publication. I know many of you can sympathize. And then one day I received a large postcard in the mail advertising the upcoming writers conference at Mount Hermon. I thought, Wow, I would love to go, but it's not possible. I was scheduled to be in Atlanta with my husband that week, to help with a missions conference he was participating in. Tickets bought and paid for, hotel booked. So maybe another time. That's what I told myself, and yet I couldn't throw the postcard away. I left it on the kitchen island, where it sat for several weeks, where I was drawn to it over and over again. Then one evening Rick picked up the postcard, which I hadn't even mentioned to him, and said, "I think you should go to this." I said, "I'd love to, but it's the week we're to be in Atlanta." Without hesitation he said, "No, I think you should go. I'll take Mindy (our other daughter) to Atlanta." And so I went right in and registered. I can't tell you how excited I was, or how nervous. I applied for a spot in the first fiction writers' critique group with Gayle Roper and submitted my chapter to her online. There was room for only 12 writers, and this was less than 3 weeks before the conference. A long shot? Yes indeed. Surely all the spots had been filled. I couldn't believe it when I received an email from Gayle late one night saying I was accepted. 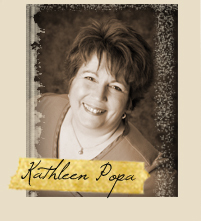 Another writer named Kathleen Popa was in the group. Our friendship began even before we met at Mount Hermon as we read each other's chapters in advance of the conference and recognized a kindred spirit in one another. While I was at the conference I met editors who liked my writing, whose encouragement gave new life to my hopes and dreams. While it was still 2 years before I received a contract, it was the event that caused a reversal in my circumstances, and that postcard was the hinge. To this day I don't know why I received it, or how in the world I got on their mailing list. I just know the remarkable difference it made in my life. It was the first link in a chain of events through which I've been so blessed. 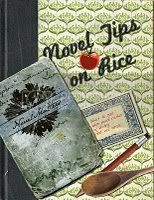 I met an editor who took my book to committee ... who offered a contract ... which helped me sign with an agent ... who had the idea of bringing a group of literary authors together to blog ... which put Bonnie, Debbie, Katy, Latayne, Patti and me together, authors from different states, different countries in fact, most of whom didn't know each other ... out of which Novel Matters was born ... which forged a deep and important friendship between 6 women of like mind ... and brought you into my life. Not only is it an important element in the lives we live, it's an important device in the fiction we write. And to maximize its impact the pivot point of the peripety should be a seemingly insignificant event, rather than a point of highest dramatic tension. Like me receiving that postcard. Which changed everything. As it says in the Esther study guide, "A peripeteia swiftly turns a routine sequence of events into a story worth telling" (attributed to Boyd A. Luter and Barry C. Davis, Focus on the Bible). And isn't that the goal of every novelist, to write a story worth telling? The term peripety is generally linked to dramatic literature, such as works by Shakespeare, but by definition every good novel should have a "sudden change of fortune or reversal of circumstances," whether negative or positive. How might peripety be applied to: David Copperfield, The Great Gatsby, or Lord of the Rings? Where does the sudden change or reversal of circumstances occur, and what is the hinge that precipitates it? What are your ideas? They can be small or great, these hinges; sometimes a word fitly spoken by another, a quiet decision on my part - or a huge recognizable inheritance. Funny thing, in retrospect some small things were of great magnitude and the larger ones (on which I was hinging my hopes) paled. I'm so glad you got that postcard. 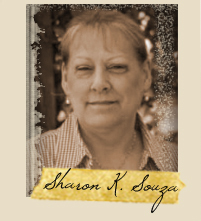 Loved hearing some more of your story, Sharon! I too enjoyed Esther as explained by Beth Moore. 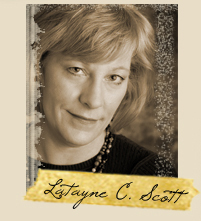 She is a writer we should encourage to join the Novel Matters community! The fact of my writing hinges on the possession of a laptop. Suddenly I could assemble my story whenever, wherever. (I am not one to sit still). I did have notebooks full of scenes but they were not cohesive or coherent as a story until I typed them in and rearranged them, shuffled them until they found their mates. Guess what! Beth Moore posted a long essay on the challenges of writing just last Thursday! http://blog.lproof.org/ Highly recommended. Sharon. I am going to comment on her post recommending she get in touch with you to possibly repost her essay here. And recommending everyone come on over here and join the fun. God is working. "You have to factor in more than writing time. Decent writing requires much more time than it takes to actually type the sentences. Decent writing requires thinking and spinning and mulling and living and watching and listening and experiencing and reaching. These bring the strokes to the page that turn the transfer of information into true connection." Henrietta, please do contact her. We'd love that. Megan, I'm so, so glad I got it, and thankful Rick took matters into his own hands. Thank you, Karen. I love the community we're creating here. Love that you're a part of it. Sharon, I'm glad you got that postcard, too. Your friendship was one of those great surprises in my life, and proof to me that everything can change in a moment. Love you.